USA's Lindsey Vonn celebrates after finishing her run in the Women's Downhill event. Downhill skiing star Lindsey Vonn and her ailing shin will lead four of America's brightest hopes for Olympic gold Wednesday in what promises to be Team U.S.A.'s biggest day yet in the Vancouver games. Speedskater Shani Davis will try for a gold medal in his specialty, the 1,000 meter event, snowboard king Shaun White goes for everything in the men's halfpipe and Apolo Anton Ohno will skate in preliminary short track heats. Vonn is the top-rated female Alpine skier in the world and was considered a heavy favorite to come out of the games with more gold around her neck than Mr. T until a leg injury left her ability to compete in question. Earlier this month, she revealed that she had a bruised shin that made skiing "excruciating." But the 25-year-old athlete has benefited from weather-related delays that have given her time to heal, as well as her unorthodox treatment regimen that involves rubbing soap on the shin. In a Monday training run, Vonn posted the fastest time on the upper portion of Whistler's downhill course but said she paid the price in pain. Tuesday's practice run was canceled ahead of today's event, giving her yet another day to heal. 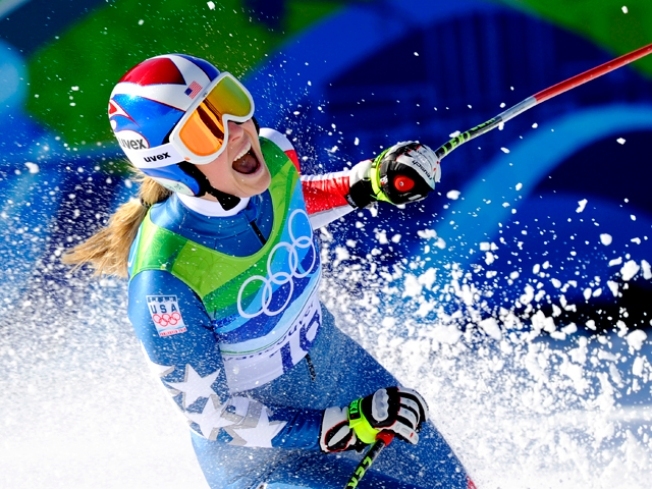 "Having this break -- I can't tell you how much it helped," Vonn said. Vonn caught a break, according to experts, drawing bib No. 16, meaning she takes off down the slopes right after a four-minute commercial break. That's seen as an advantage over starting immediately after another racer. Despite whiffing in the medal hunt on Tuesday, the U.S. has won eight so far, including a pair of golds. The Americans won only six medals at the 1988 Winter Games in Calgary. Davis finished 12th in the 5,000, then placed 18th in the first of two 500-meter heats Tuesday, but should fare much better in today's 1,000-meter race. 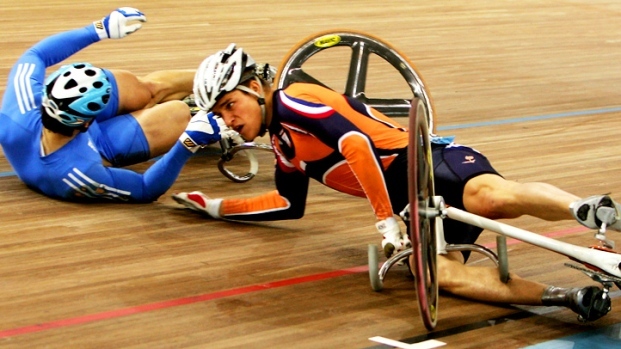 He won at the 2006 Games and holds the world record. Like Davis, White won gold at the Turin Olympics. Known as the Flying Tomato because of his red hair, White is one of the most recognizable athletes at the Vancouver Games even though the halfpipe is in only its fourth Olympics as part of the official program. White has been working on the Double McTwist 1260, a move that requires him to pack 3 1/2 spins inside of two head-over-heels flips. Aside from that, White's been a bit coy about his planned run. "I don't want to give everything away," he said. "Big airs." Ohno already won a silver medal in the short track 1,500 when two South Koreans took each other out in a crash on the final turn. That was his sixth career medal, tying Bonnie Blair for the U.S. Winter Games record. He won't have a chance to surpass Blair on Wednesday, but he will skate in the 1,000 heats and the 5,000 relay semifinals. Coverage starts at 8 p.m. EST on NBC.